Elevate Ensemble after the Stravinsky Legacy concert and performance of my piece, Thirty-three Years. As part of my Composer-in-Residence with Elevate, I’ve just completed my second, and final work for them. My piece, Sinfonietta, was written for yet another challenging, but fun, instrumentation set by Elevate. This time I was writing for the same exact instrumentation as Schoenberg’s Chamber Symphony. 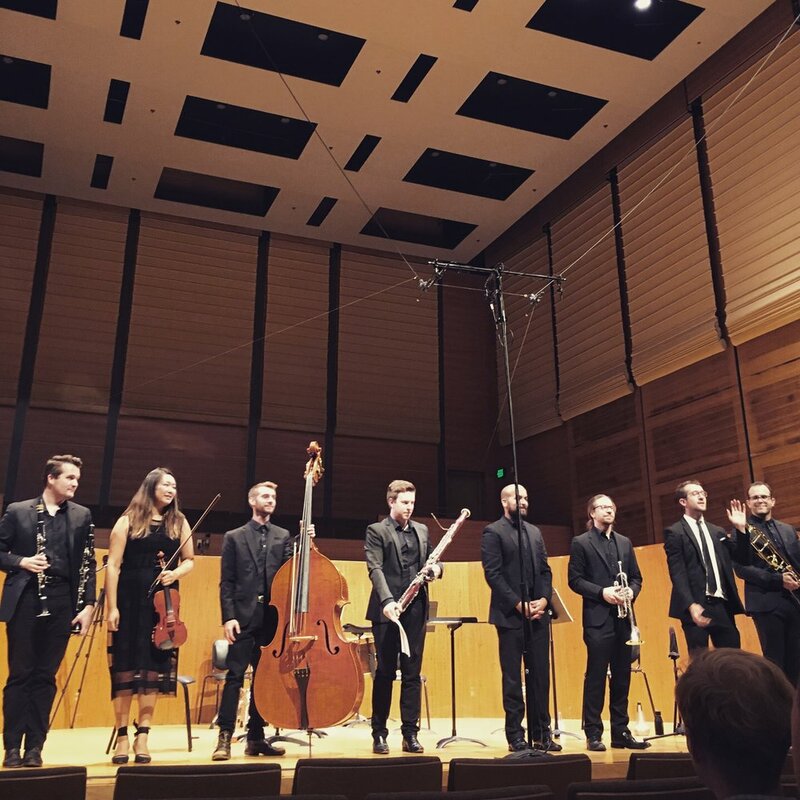 This 15-piece ensemble is unusually winds-heavy with 10 winds (3 of which are clarinets!) and just 5 strings. They interviewed me leading up to the May 19 “Transformations” concert, and you can read about how I took inspiration from Schoenberg here. Helia Music Collective announces their second collaboration, featuring Liaison Ensemble!